For a printer/reader-friendly PDF version of this article, please click here. During a financial downturn, the law of secured transactions becomes more important. More financial impairment means more disputes over who has priority in a pot that’s not large enough to go around. During these times, a key, but sometimes overlooked, component of debtor-creditor law—the law of agricultural liens—rises in importance. This fact sheet provides readers with a review of agricultural lien law in Iowa, included the creation, perfection, and enforcement of these nonconsensual, statutory liens. A statutory lien is a right to a debtor’s property granted by law to a creditor. A statutory lien automatically attaches to the property by virtue of the creditor’s relationship to the debtor. A mechanic’s lien, for example, arises when a contractor provides material or labor to improve a building. Iowa law grants the contractor a lien on the property until the debt is paid. Statutory liens are special because the creditor does not need to ask the debtor’s permission for the lien to attach. The creditor also doesn’t need to involve a court to obtain it. A statutory lien attaches automatically. Contrast that with the typical debtor-creditor relationship. If the debtor signs a security agreement with the creditor, the creditor becomes a secured creditor with a legal interest in the specific property listed in the security agreement. If the debtor has not signed a security agreement with the creditor, the creditor is unsecured. This means the creditor must first go to court and receive a judgment against the debtor to prove that a debt is owed. Once a judge enters such an order, the creditor at that point can record a judgment lien against the debtor’s property. The statutory lien greatly simplifies this process. 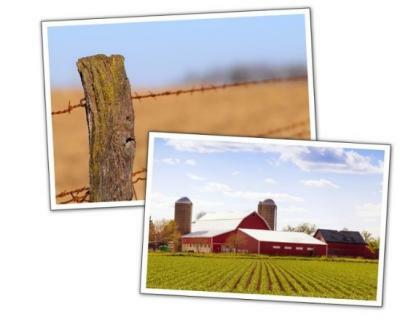 Agricultural liens are among the most important statutory liens in Iowa and elsewhere. The agricultural lien provisions were designed to further crop and livestock production by encouraging those who are not credit professionals to provide goods and services and lease real property to farmers. whose effectiveness does not depend on the person's possession of the personal property. In other words, an agricultural lien automatically attaches to farm products, which include crops and livestock, to secure (1) payment for goods or services furnished to a farm operator or (2) payment for rent on the property leased for the farm operation. Landlord’s Lien (Iowa Code ch. 570). Agricultural Supply Dealer’s Lien (Iowa Code ch. 570A). Harvester’s Lien (Iowa Code ch. 571). Custom Cattle Feedlot Lien (Iowa Code ch. 579A). Commodity Production Contract Lien (Iowa Code ch. 579B). Each lien has different technical requirements and different priority rules. While agricultural liens are not technically security interests, agricultural liens are subject to many of the same basic rules. It is therefore useful to review basic secured creditor law to better understand how agricultural liens work. A security interest, for example, must first attach to the debtor’s property. This attachment usually occurs when the debtor signs a security agreement granting the creditor a security interest in the property in exchange for the creditor loaning money. Once attachment occurs, the security interest is enforceable against the debtor. A second step, however, is required for the creditor to enforce that interest against other creditors. The creditor must perfect that interest to lock in his or her place in line among other creditors. Perfection is usually completed by filing a UCC-1 with the Secretary of State’s office. This alerts other creditors to the fact that the collateral is already pledged to a debt. The general rule is that the first creditor to file the UCC-1 has first priority to the collateral when the loan goes into default. There are, however, a number of exceptions to that general rule. Non-security interests, such as agricultural liens, often receive priority over already-existing security interests by virtue of statute. All 50 states have adopted Article 9 of the Uniform Commercial Code, which establishes the laws governing secured transactions involving personal property. In 2001, Article 9 was revised to include agricultural liens within its reach. The revision did not transform agricultural liens into standard security interests, nor did it change the fact that other state statutes still govern how these agricultural liens attach to farm products. Rather, the 2001 revisions for the first time required agricultural lienholders to file UCC-1 statements to perfect the interests granted to them by statute in the debtor’s collateral. It also established and continues to establish the priority rules for agricultural liens, in relation to other agricultural liens and standard security interests. This means that a lien automatically attaches to the farm products grown on the property by virtue of the landlord leasing the property to a farm tenant. The landlord has a statutory lien by operation of law. This does not mean, however, that the lien is perfected. Only a perfected landlord's lien is enforceable against or prioritized ahead of other secured creditors or lien creditors who perfected their interests before the landlord or whose interest in the farm products attached ahead of that of the landlord. In other words, if landlord files a UCC-1 within 20 days of possession, the landlord’s lien will have priority over a conflicting security interest held by a bank or an agricultural supply dealer’s lien perfected before March 1. But remember, this special priority is only available if the UCC-1 is filed by the time the tenant takes possession of the property or within 20 days thereafter. File a standard financing statement (UCC-1) with the Iowa Secretary of State. Instructions for filing this form online can be found on the Secretary of State’s website. No signatures are required to file the UCC-1 to perfect the landlord's lien. A landlord’s lien continues for one year after rent is due or six months after the end of lease, whichever is first. Within 20 days after a landlord who has filed a financing statement receives a written demand from a tenant, the landlord must file a termination statement if the lien has expired or the tenant is no longer in possession of the property and the tenant has performed all obligations under the lease. Iowa law provides that a landlord’s lien may be enforced by filing a verified petition with the court clerk stating that the action is to recover rent accrued within the previous year. If the procedure is properly followed, a writ of attachment should enter. Unlike other cases of attachment, a landlord is not required to post a bond. The UCC applies a special rule for farm products subject to an agricultural lien. Such collateral is subject to the law of the jurisdiction where the farm products are located, as opposed to the law of the location of the debtor. As such, if farm products subject to an agricultural lien in Iowa are moved to another state, that lien will not be perfected if the creditor has not also filed a separate UCC-1 in that jurisdiction. 7 U.S.C. § 1631(e) of the Food Security Act (“the Farm Products Rule”), allows buyers in the ordinary course to purchase grain free and clear of an existing security interest unless the buyer (in Iowa) receives direct notice of a perfected security interest in the grain. It should be noted that this law applies only to security interests, not agricultural liens. As such, landlords with a perfected landlord’s lien are not required to give notice to buyers in the ordinary course of the tenant’s crops to enforce their lien. If they choose to also take a consensual security interest in the same collateral, however, the landlords would be subject to this rule. Iowa Code § 570A.3 grants an “agricultural lien” to an “agricultural supply dealer” who provides an agricultural supply to a farmer. This statute was enacted during the 1980s farm crisis to help debt-laden farmers buy livestock feed or crop inputs, such as seed, on credit so that they could continue operations. The lien is for the amount owed to the agricultural supply dealer for the retail cost of the supply, including labor. A person engaged in the retail sale of agricultural chemicals, seed, feed, or petroleum products (motor fuel) used for an agricultural purpose. Crops which are produced upon the land to which the agricultural chemical was applied, produced from the seed provided, or produced using the petroleum product provided. The lien shall not apply to any crops so produced upon the land after 490 days from the date that the farmer purchased the agricultural supply. To perfect an agricultural supply dealer lien, the dealer must file a financing statement with the Iowa Secretary of State within 31 days after the date of purchase. The Iowa Supreme Court recently affirmed that the financing statement applies only to the product or service provided within the 31-day period prior to the filing. Any subsequent deliveries are not covered by the filing. This means that a feed dealer making regular deliveries to the debtor must file the UCC-1 every 31 days to maintain perfection of the lien. The financing statement must meet the same requirements as all financing statements. It must include the name of the debtor, the name of the secured party, and the collateral covered by the financing statement. Designation as to whether the debtor is individual or organization. Organization ID number or the fact that debtor has none. If the agricultural dealer lien is properly perfected, it has priority over a lien or security interest created after the time of perfection. Furthermore, if proper certified request procedures are followed (explained below), the agricultural supply dealer lien shall have equal priority to a lien or security interest created prior to the time of perfection. This means that it would be equal in priority, for example, to a prior perfected security interest taken in the collateral by the bank issuing the operating loan. However, a properly-perfected landlord’s lien has priority over a conflicting agricultural supply dealer lien, as does a properly perfected harvester’s lien. Furthermore, a special superpriority provision applies to an agricultural supply dealer lien in livestock. An agricultural feed dealer lien in livestock is special under Iowa law. It has priority over an earlier perfected lien or security interest to the extent of the difference between the acquisition price of the livestock and the fair market value price of the livestock at the time the lien attaches or the sale price of the livestock, whichever is greater. The Iowa Supreme Court recently clarified that in a farrow-to-finish operation, the acquisition price of hogs would be zero. It is important to note also that the Iowa Supreme Court has ruled that feed dealers are not required to follow the certified request procedures that must be followed by other agricultural supply dealers to obtain their superpriority status. Furthermore, a bankruptcy court has held that this superpriority lien extends to the proceeds of the collateral. After receiving the certified request, the lender—within four business days—must issue the dealer a memo stating whether or not the farmer has sufficient net worth or line of credit to ensure payment. If the lender states that the farmer has sufficient worth or line of credit, the memo operates as a letter of credit for a period of 30 days following when the final payment is due. received the request and provided full financial history to the dealer indicating that the farmer did not have a sufficient net worth or line of credit to assure payment. As noted above, in 2011, the Iowa Supreme Court ruled that the law granting superpriority status for livestock feed dealers trumps Iowa’s certified request requirements. As such, the Court ruled that livestock feed dealers are not required to comply with the certified request process to obtain their superpriority lien status in livestock. Iowa Code §571.1B provides that a harvester shall have an agricultural lien for the reasonable value of harvesting services. The lien automatically applies to the crops harvested by the harvester, and becomes effective at the time the services are rendered. To perfect the lien, the harvester must file a UCC-1 financing statement within 10 days after the last date that the services were rendered. The law provides that a properly perfected harvester’s lien has priority over a conflicting security interest in the harvested crops, regardless of when that security interest was perfected. It also states that a perfected harvester’s lien has priority over a conflicting landlord’s lien. If the harvester fails to perfect his or her lien interest, the lien will be subordinate to any perfected security interests or liens, as well as any interests that attached to the crops prior to the date of the harvest. Iowa law grants a custom cattle feedlot operator a lien upon the cattle and the identifiable cash proceeds from the sale of the cattle for the amount of the contract price for the feed and care of the cattle. "Custom cattle feedlot" is defined as a feedlot where cattle owned by a person are provided feed and care by another person. For this lien to arise, there must be a written or oral agreement by the custom cattle feedlot operator and the person who owns the cattle. The custom cattle feedlot operator is the secured party and the owner of the cattle is the debtor. A custom cattle feedlot lien becomes effective at the time the cattle arrive at the custom cattle feedlot. In order to perfect the lien, the operator must file a UCC-1 financing statement with the Secretary of State’s office within 20 days after the cattle arrive at the feedlot. The lien terminates one year after the cattle have left the custom cattle feedlot. The lien may also be terminated by the operator who files a termination statement. A properly perfected custom cattle feedlot lien is superior to and shall have priority over a conflicting lien or security interest in the cattle, including a lien or security interest that was perfected prior to the perfection of the custom cattle feedlot lien. Only a veterinarian’s lien perfected as an agricultural lien has a superior position. The law provides that any waiver of the right to the custom cattle feedlot lien is void and unenforceable. A person who is a custom cattle feedlot operator may file and enforce a lien as a contract producer or a custom cattle feedlot operator, but not both. A contract producer who is a party to a production contract has a lien in the farm products produced or raised under the contract. The contract producer (the person who feeds the livestock or produces the crops) is the secured party and the contractor (the person who owns the commodity being raised) is the debtor. The amount of the lien is the amount owed to the contract producer under the contract. For a lien arising out of producing livestock or raw milk, the lien becomes effective the day that the livestock first arrives at the contract livestock facility. To perfect the lien, the contract producer must file a UCC-1 financing statement with the Secretary of State within 45 days after the livestock’s arrival. If however, the contract calls for continuous arrival, the contract producer must file the financing statement for the livestock within 180 days after the livestock's arrival. The lien terminates one year after the livestock is no longer under the authority of the contract producer. For a lien arising out of producing a crop, the lien becomes effective the day that the crop is first planted. To perfect the lien, the contract producer must file a UCC-1 financing statement with the Secretary of State’s office. The contract producer must file a financing statement for the crop within forty-five days after the crop is first planted. A properly perfected commodity production contract lien has priority over a conflicting lien or security interest in the commodity, including a lien or security interest that was perfected prior to the perfection of the commodity production contract lien. Only a veterinarian’s lien perfected as an agricultural lien has a superior position. The owner or keeper of any stallion, bull or jack kept for public service, or any person, firm, or association which invokes pregnancy of animals for the public by means of artificial insemination shall have a prior lien on the progeny of such stallion, bull, artificial insemination or jack, to secure the amount due for the service. However, there shall be no such lien if the owner or keeper misrepresents the animal by a false pedigree, or fails to substantially comply with the laws of Iowa relating to such animals. A lien for services of animals does not have priority over a properly perfected custom cattle feedlot lien in the same animals. 1. A description of the stallion, bull or jack, when used and of the dam and its progeny. 2. The time and terms of said service. 3. A statement of the amount due for said service. A veterinarian has an agricultural lien for the actual and reasonable value of treating livestock, including the cost of any product used and the actual and reasonable value of any professional service rendered by the veterinarian. The veterinarian is a secured party and the owner of the livestock is the debtor. The lien applies to the livestock treated by the veterinarian and becomes effective at the time the veterinarian treats the livestock. To perfect the lien, the veterinarian must file a UCC-1 financing statement with the Secretary of State’s office within 60 days after the day that the veterinarian treats the livestock. A properly perfected veterinarian’s lien has priority over any conflicting security interest or lien in livestock treated by the veterinarian, regardless of when such security interest or lien was perfected. It should be noted that any agricultural lien in livestock may be subject to a debt under Iowa’s Injury to Livestock statute. If law enforcement rescues neglected livestock, and the owner of the livestock can’t pay the costs associated with the care, a court may order the sale of the livestock. The law provides that a prior existing security interest or lien in that livestock will be subordinated to the debt owing the local authorities. Kristine is an attorney and the Assistant Director of the Center for Agricultural Law & Taxation at Iowa State University. See Iowa Code ch. 572. Iowa Code § 570.1(2); Iowa Code §554.9310. Iowa Code § 570.1(2(b) states that the lien may be perfected “when the debtor takes possession of the leased premises,” suggesting that the lien may be perfected before the debtor takes possession. However, Iowa Code § 554.9509(1)(a) states that a UCC-1 can be filed only for agricultural liens that “have become effective” unless the tenant authorizes the filing in an authenticated record. Best practice dictates that the landlord should file the UCC-1 between March 1 and March 20. A perfected Harvester’s Lien under Iowa Code ch. 571, a perfected Commodity Production Contract lien under Iowa Code ch. 579B, a perfected Mechanic’s Lien under Iowa Code ch. 572, a perfected Custom Cattle Feedlot Lien under Iowa Code ch. 579A, and a perfected Veterinarian’s Lien under Iowa Code ch. 581 are the exceptions to this rule. Comment 9 to Iowa Code § 554.9315. Meyer v. Hawkeye Bank & Trust Co., 423 N.W.2d 186, 189 (Iowa 1988); Perkins v. Farmers Trust & Sav. Bank, 421 N.W.2d 533, 535 (Iowa 1988). In Agriliance, L.L.C. v. Runnells Grain, 272 F. Supp. 2d 800 (S.D. Iowa 2003), a federal court applied the proceeds rule of Meyer and Perkins while applying the 2001 revisions requiring perfection of a landlord’s lien. Iowa Code § 570.5. A writ of attachment authorizes “seizure” of the assets subject to the writ. For standard security interests, Iowa Code § 554.9301 applies. Some landlords choose to have the debtor sign a security agreement, also granting the landlord a security interest in the tenant’s crops. This may be useful in the event of bankruptcy where the trustee may have a greater ability to avoid a lien than a security interest. as provided in Iowa Code §554.9102. “An agricultural supply dealer’s financing statement cannot perfect a lien under § 570A.4 for quantities of feed sold on credit after the statement is filed. Instead, the agricultural supply dealer’s financing statement only perfects a lien for the feed purchases occurring during the thirty-one days preceding the filing of the financing statement.” Oyens Feed & Supply, Inc. v. Primebank, No. 15–0806 (Iowa Sup. Ct. May 27, 2016), answering certified questions from Oyens Feed & Supply, Inc. v. Primebank, 2015 U.S. Dist. LEXIS 58482 (N.D. Iowa May 5, 2015), an appeal from In re Crooked Creek Corp., No. 09-02352S, 2014 Bankr. LEXIS 4456 (Bankr. N.D. Iowa October 21, 2014). under Iowa Code § 570A.4. Oyens Feed & Supply, Inc. v. Primebank, No. 15–0806 (Iowa Sup. Ct. May 27, 2016). Oyens Feed & Supply, Inc. v. Primebank, 808 N.W.2d 186 (Iowa 2011). In re Schley, 2014 Bankr. LEXIS 1724 (Bankr. N.D. Iowa Apr. 18, 2014).